The eagerly anticipated 2008 Dom Pérignon was at last released at the end of 2018, and happily, I had the chance to taste it with the charismatic outgoing Chef de Caves, Richard Geoffroy, at an event in Beaune. I subsequently retasted the wine several times at my office in the United States. As the release of this vintage marks Geoffroy's retirement—effective January 1, 2019—after 28 years with Dom Pérignon, it also marks an important event in Dom Pérignon's history, commemorated by a special label. It's fair to say that Geoffroy's tenure has transformed this cuvée, and what he has achieved is certainly impressive. Since 2003, which few Champagne houses declared as a vintage and which Geoffroy made waves by opting to release, Dom Pérignon has been produced in every year with the sole exception of 2007, reflecting a decision to embrace the personality of each vintage more wholeheartedly. While cynics might observe that this decision has obvious commercial appeal, the wines have largely justified it—even if some vintages are obviously stronger than others. Geoffroy has also sought to pick riper fruit, harvesting late by the standards of the region in pursuit of more mature grapes. Especially for a cuvée of this size (production is confidential, but most estimates land north of five million bottles), that's decidedly unusual, reflecting an admirable willingness to take risks in pursuit of quality. Dom Pérignon today delivers more flesh, vinosity and texture than it did two decades ago. To my palate, the wine would be even more exciting if those qualities, admirable in themselves, could be married with greater energy and incisiveness—and perhaps slightly lower dosage—but that's likely an unreasonable counsel of perfection at this scale. Geoffroy's successor, Vincent Chaperon, has worked with his predecessor for the last 13 years, and it will be exciting to follow Dom Pérignon's evolution under his direction. 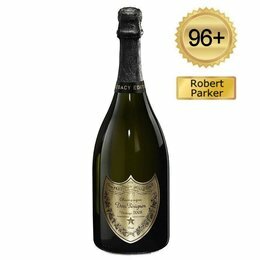 In any case, the 2008 is unlikely to disappoint readers, as this ripe but racy vintage has synergized beautifully with the Dom Pérignon style. As readers will know, winemaking here is quite reductive, with the vins clairs vinified in stainless steel on the lees with full malolactic fermentation, followed by bottling and eight to ten years sur lattes before the first disgorgement. Yet the 2008 is less overtly autolytic and reductive in style out of the gates than the last handful of Dom Pérignon releases. Geoffroy's perception of the 2008 vintage is very much linked to reflection on the 1996 vintage, a heralded year that he feels was generally picked prematurely, before the fruit had attained full phenolic development. And while the 1996 Dom Pérignon is one of several undeniably superb wines produced in that year, Geoffroy's observation does appear to be supported by the disappointing evolution of more than a few 1996s today. With the similarly styled 2008 vintage, the Dom Pérignon team therefore sought riper grapes, and the wine is clearly richer and—as Geoffroy puts it—more muscular than the 1996, though cut from similar cloth. To my palate, it's also the finest Dom Pérignon since the 1996, displaying a racier, more lively profile than the 2002, and it should be a very promising candidate for extended bottle age. In addition to my tasting note on the 2008, I've also taken this opportunity to publish a couple of recent notes on later disgorgements of Dom Pérignon and Dom Pérignon Rosé.